You will receive 25 pieces of yellow mongo shell rings . Money Cowry Monita Shell Rosettes Or Cowrie Shell Rings. 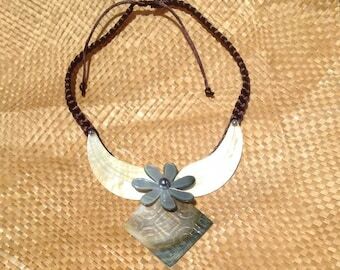 Polished Pieces To Add To Any Polynesian Costumes! Cowry Ring With Green/Grey. 2 " Mother Of Pearl Flower Shell Earrings. Authentic Half Braided Hau/Fau Hip Hei. 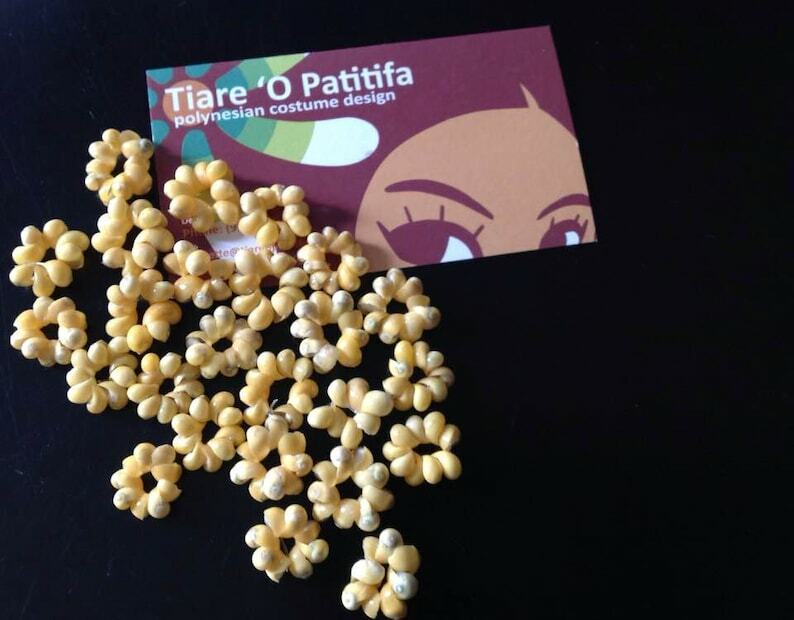 Braided Tahitian And Cook Island Hip Hei..Perfect For All Ages. Listing Is For Half Hip Hei Only! Mother Of Pearl Necklace And Black Fresh Water Pearls..Choice Of Black Or White Cord!! Perfect For All Ages. Black Lip Mother Of Pearl Shell Necklace.. Perfect For Dancers, Gifts, Luau, Wedding..
Sennit Rope By The Yard, Great For Costume Making.